The National Academy of Sciences of Ukraine  is the highest government research body in Ukraine and one of the six state academies. Like many other academies, it has a two-tier membership: academicians, and corresponding members. There is also an additional membership category for foreign members. It operates many research institutions, primarily in the fundamental sciences but also in the humanities. The Academy has "state-agency" status, but is self-governing in decisions relating to its own activities. The NASU is responsible for over 90% of all discoveries made in Ukraine, including the transmutation of lithium into helium, the production of heavy water, and the development of a 3-D radar that operates in the decimeter range. The International Astronomical Union (IAU) is a collection of professional astronomers, at the Ph.D. level and beyond, active in professional research and education in astronomy. It acts as the internationally recognized authority for assigning designations to celestial bodies (stars, planets, asteroids, etc.) and any surface features on them, and is a member of the International Council for Science (ICSU). The main aim of the IAU is to promote and safeguard the science of astronomy in all its aspects through international cooperation. The IAU maintains friendly relations with organizations that include amateur astronomers in their membership. The IAU has its head office on the second floor of the Institut d'Astrophysique de Paris in the 14th arrondissement of Paris. Sub-regional European Astronomical committee is created within the framework of the project "Enhancing astronomical research and observation in South-East Europe and Ukraine" of the UNESCO Regional Bureau for Science and Culture in Europe (UNESCO-BRESCE). The main objective of SREAC is to elaborate and implement a sub-regional strategy for the development of astronomy in South-East Europe and Ukraine and to strengthen astronomical co-operation in the sub-region, and between the region and countries outside. The European Astronomical Society (EAS) is a learned society, founded under the Swiss Civil Code in 1990, as an association to contribute and promote the advancement of astronomy in Europe, and to deal with astronomical matters at a European level. It is a society of individual professional astronomers, and all European astronomers can be members independently of their field of work or country of work or origin. The society offers a forum for discussion on all aspects of astronomical development in Europe, and is the organisation that represents the interests of astronomers in discussions of European-wide developments. 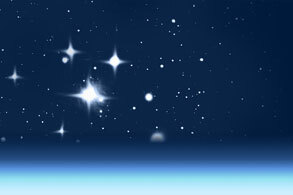 Ukrainian Astronomical Association (UAA) was founded in 1991. Since this year the UAA coordinates the astronomical activity in Ukraine. The UAA consists of 15 Institutional Members and dozens of Individual Members. The UAA is served as the National Committee of astronomers in Ukraine. There are more than 1500 persons in Ukraine involved in astronomical researches.